Fleet has a clear business objective to increase fleet sales in NSW by identifying keys sales opportunities across the 4 key sales categories. Identify 5 fleet departments who have the greatest opportunity for growth across the 4 sales categories. The vehicles have been improved through safety technology and dealerships will have new sales tools through telematics and SME fleet management. These will be available over the next 6 months with a core focus on addressing the key customer problem and associated opportunities. As a key component of our growth strategy, we consider it critical to identify and outline our business objectives, and align these objectives with clear and measurable development milestones. Our key long term business objective is to acquire new customers. Customer acquisition is considered to be the critical activity and we are seeking to grow the number of customers. We understand that customer growth could be at the expense of profitability, and that there is a cost associated with customer acquisition. Our long term objective is to build a clear customer acquisition process. Fleet has been created with a clear focus on the needs of our customers. Through a structured customer discovery process, we have validated the key customer problem as Fit for purpose, value for money and reliability. This is a critical issue for our selected target markets in the 4 key categories. Fleet is uniquely positioned to deliver value to The 4 key segments. "Fleet will Provide high quality products both vehicles and finance at competitive prices." In order to be deliver on this value proposition, through quality service, reliability and cost effective options. This capability has taken considerable time and resources to develop and forms the cornerstone of our competitive advantage. We have a number of competitors within the market. We consider our key competitors to be: Toyota and Kia . Our understanding of these competitors has been used to refine our strategy and value proposition. We believe that we can compete effectively with Toyota and Kia by Strong SUV, LCV products, telematics and finance options to add value to our brand and generate long term customers. Over the next 6 months, our focus will be to Identify buyers based on types of business through database, dealers staff and employ an additional staff member. The task will be undertaken in the context of our broader strategy to Double current volume through Bd, ASM's and increase share of wallet of current customers. These strategies are a tactical implementation of our overall business goal as outlined above. Measurement of the successful implementation of our strategies will be governed by measurable development milestones. The milestones that will be achieved over the next 2 years are: 5 new Bd contacts per week ASM fleet awareness program that includes Dealership Avention, fleet targets and rewards based on increased fleet sales and share growth within the PMA. 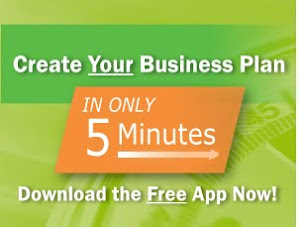 This document was created by Heath of Fleet using the 5 minute Business Plan App. This technology and approach is powered by HyperQuestions.